"We designed the standing rigging for Athos, which is all custom made", explains Constantijn Weber from Joure (Netherlands) based SmartRigging. "Rod rigging is the standard for this segment. 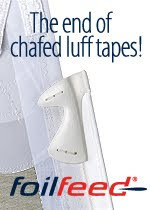 However, we supplied her with lightweight composite rigging, normally used for racing yachts. 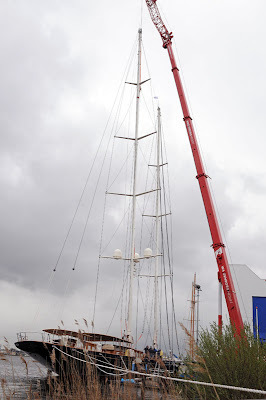 It is approximately eighty percent lighter than stainless steel, which makes it interesting for a 62 meter long schooner as Athos." Weber about the process: "We use a high quality production technique, called endless winding, optimized by us. It allows us to work very precisely. We put the same amount of tension on all fibres to stretch them equally, which results in low stretch and a long lifespan." Designing the standing rigging for 203ft Athos was not a usual challenge for SmartRigging. 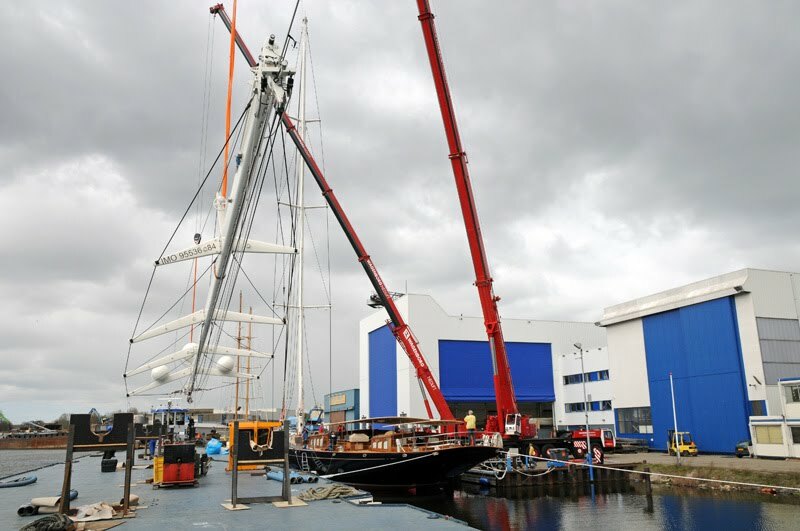 Weber: "No, the biggest yacht we have done before was 32 meter long. The engineering work took up most of the time, as everything needs to fit at once. We can't make any mistakes, because that means you can start all over again. It is impossible to adjust the rigging length as soon as it is produced." 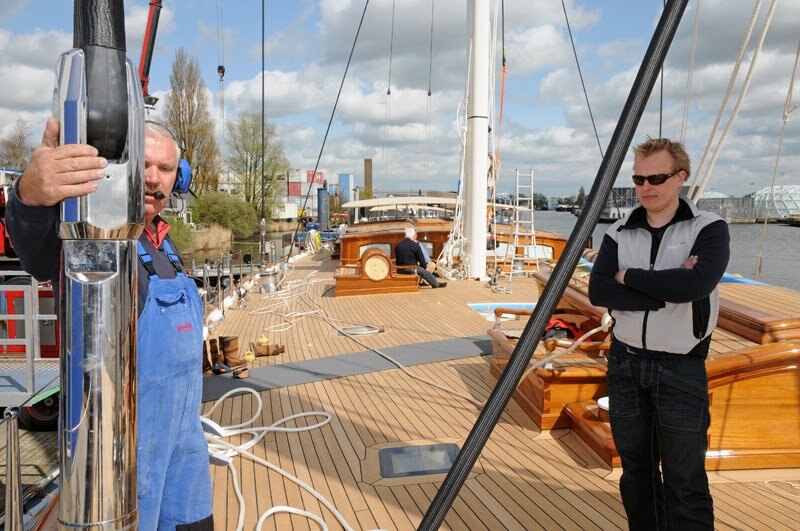 Walking onboard of the Dutch schooner he smiles: "Fortunately, we succeeded."